Trying to enjoy our last couple weeks in our neighborhood and close to the city. I have high hopes of trying to get to the zoo and to the natural history museum so Anderson can see the big dinosaurs before we go. We'll still be close enough but not 10 minutes close. 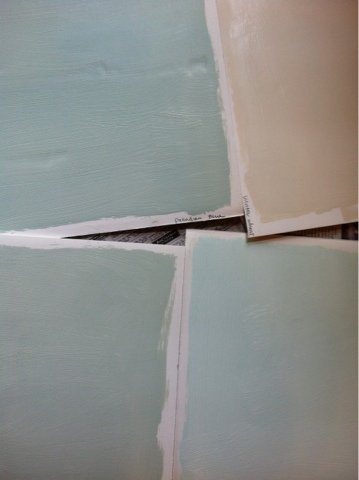 In the midst of packing I'm figuring out paint colors and think we've made some progress today. Potentially the neutral for the family room, kitchen, dining room, and master are figured out. Hooray!